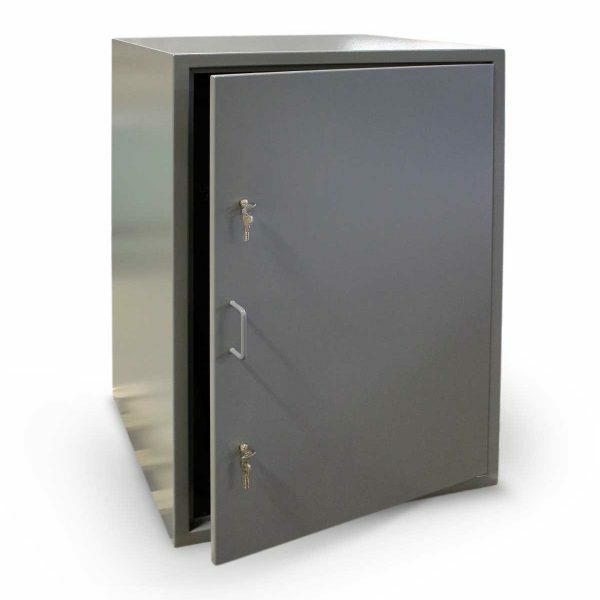 The SS1266 saddle safe is based loosely on the successful design of shotgun cabinet we offer. 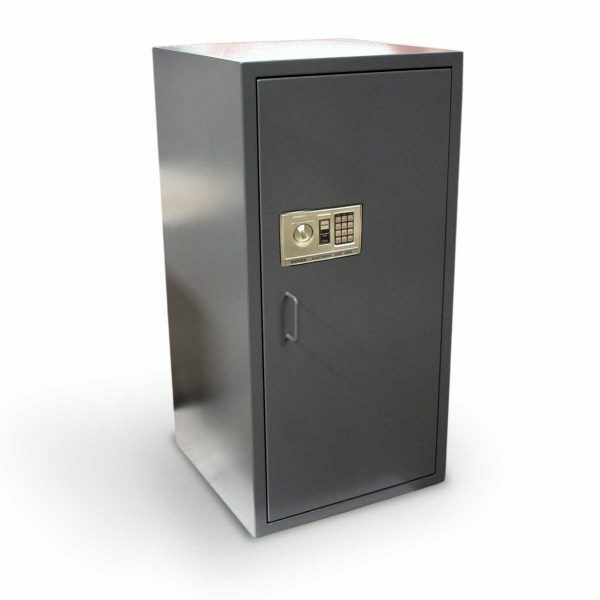 Designed to be a deterrent to thieves, these safes may reduce your insurance premiums upon discussion with individual insurance companies. 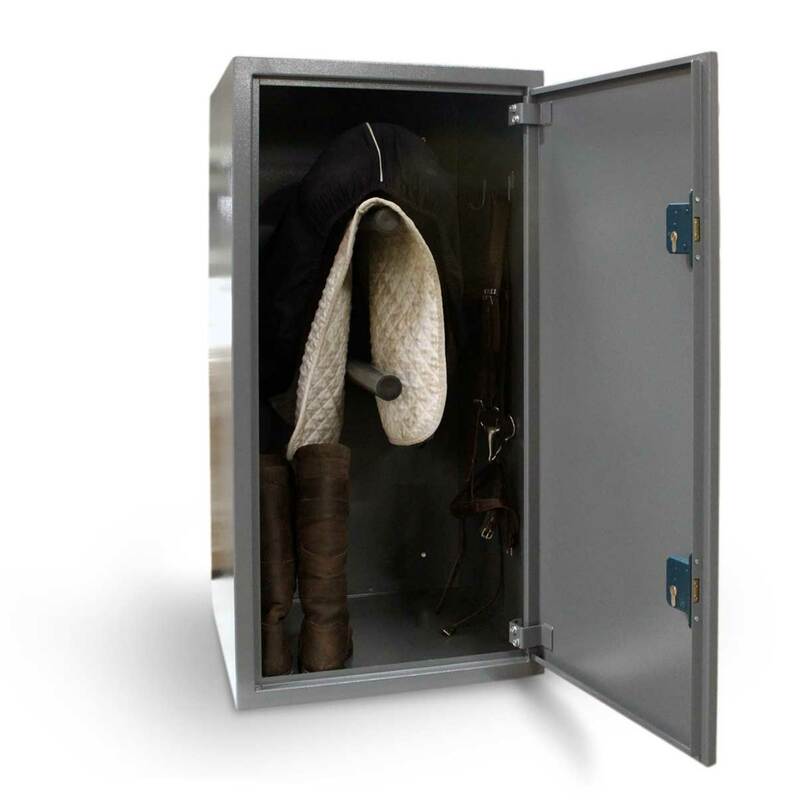 These saddle safes have been designed specifically to help reduce the theft of valuable saddles and tack, our saddle safes offer additional security when you are away from your stable or tack room. Although these units are secure they are not sold as impregnable and are designed to be used as a bolster to other security measures such as burglar alarms and good lighting. 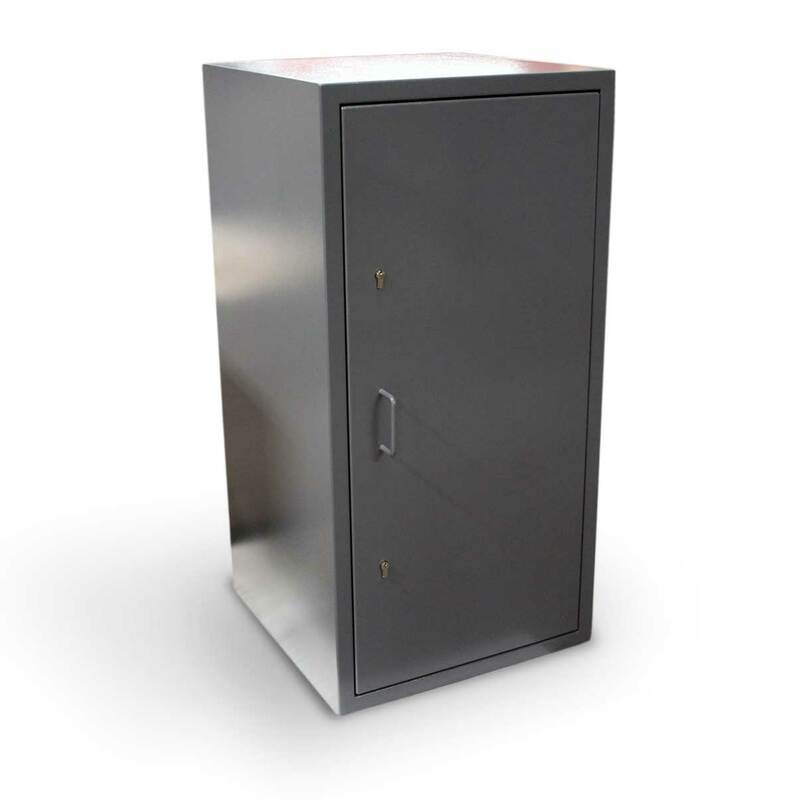 Our tack safe is robust and yet is able to be lifted by two people when it is delivered. The units are designed to be bolted to the floor using four pre-drilled holes in the base of the tack safe to prevent it from being moved when installed. Please read our information page on security measures you can take to prevent theft of saddles before considering a purchase. Before placing an order, please read our terms and conditions. If you need any assistance in choosing the right saddle safe for you, please do not hesitate to contact us and we will be happy to help. 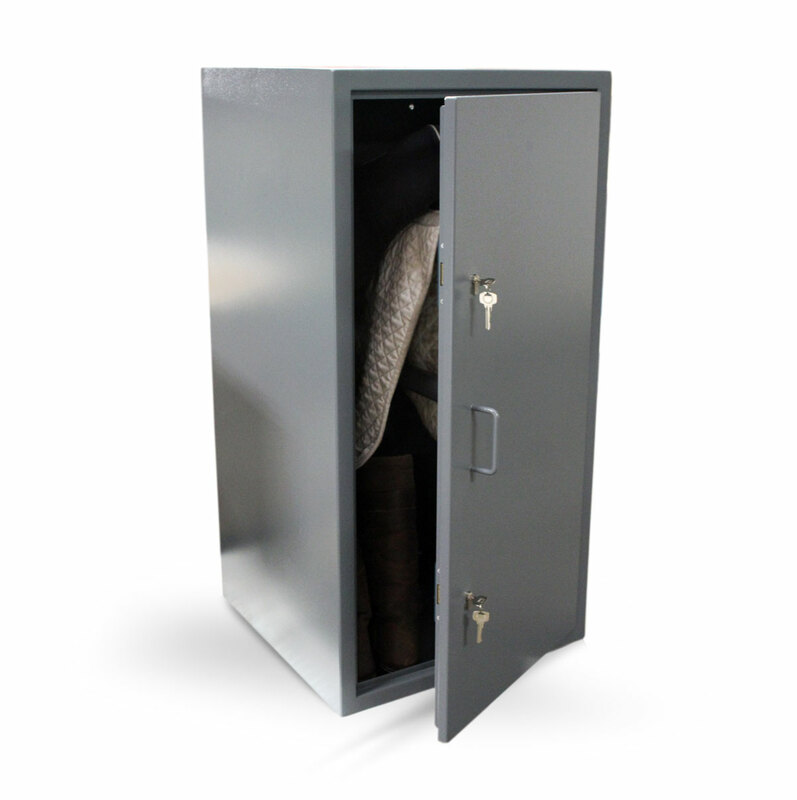 All of the safes in the Knight Watchman saddle safe range are proudly manufactured in the United Kingdom.